In the last segment, Bill and I identified what I call the “War of Extermination” based on Psalm 83 as the first end time war. In this segment, we look at the timing of the Rapture and the United States in relation to this war. Where do you think the Rapture of the Church is going to fit in? Is it going to be pre-Psalm 83, or post-Psalm 83, or what? The Rapture is not what begins the Tribulation. It is some sort of treaty between the Antichrist and Israel that starts the Tribulation. The Rapture could occur a year, 2 years, 3 years, or even 5 years before the start of the Tribulation. The Rapture can occur at any moment. Now, whether it is going to occur before Psalm 83 or during the Psalm 83 War or after that war, I have no idea, Bill. I am not setting dates for the Rapture. I believe the Rapture is an event that can occur at any moment. It could be before the Psalm 83 War, during it, or after it. Bill Salus: I concur. And, that was the big question! We’ll leave the answer as this — if we are still here at the fulfillment of Psalm 83, we need to certainly be prepared to use the foreknowledge of this war as one of our best witnessing tools. Dr. Reagan: Amen! I think it is unfair of those who attack you saying that if you put in this Psalm 83 War that somehow you are saying that’s an event that must occur before the Rapture, and therefore the Rapture is no longer imminent, because that is not the position that you’ve taken. Bill Salus: No, it’s not. You’re right, this topic has come up, so I thank you for clearing it up. How does the United States play into this war? Bill Salus: During the Bush Administration when he declared a war on terror, Israel took the advantage of building a 400 mile wall to keep terrorists out. And, it has worked. It has kept Palestinian terror somewhat at bay. Now, you’ll start to hear articles coming out about how things on the ground are different there geopolitically, and that maybe there really is an opportunity for some legitimate peace because the Palestinian leadership apart from Hamas is getting a little more conducive to having peace. But, the bottom line is this that wall is what is causing those changes on the ground there. Currently, President Obama has a 4% or less popularity rating in Israel among Israeli Jews who think he is pro-Israel, according to a Jerusalem Post poll recently issued. He has definitely got Israeli Jews concerned about a sentiment of American betrayal. Dr. Reagan: He has me concerned along the same line, because the Bible makes it very clear that those that turn against Israel in the end times and try to divide the land that God will deal with them, and He will deal with them in His wrath. We are just begging for the wrath of God upon this nation through the policy that Obama is pursuing. Think about how hypocritical it was when protestors in Iran were having huge demonstrations in the street after the recent election, and Obama said nothing! He said nothing and he said nothing until finally he was forced to say something, and then he said, “Well, I just don’t want to say anything because who am I to interfere in the affairs of another nation. That is a sovereign nation.” And yet, he turned right around and began to put all kinds of demands upon Israel, saying to the Israelis, “You can’t even build a building in Jerusalem.” I mean, come on! What if Israel told us we couldn’t build a building in Washington, D.C.? 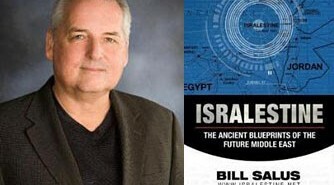 Bill Salus: Obama is pushing Israel to freeze their settlements which is very controversial right now. Biblically speaking, God is bringing the Jews back into the land and a moratorium on housing does not seem to be part of God’s prophetic program. Dr. Reagan: That’s right, that’s very right. 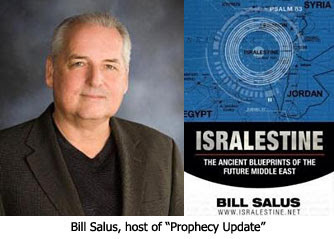 Bill Salus: Obama’s policy is butting heads with God, and we know where that is all going to end up. In the next segment, Bill and I will be discussing the second end time war in the series — the First War of Gog-Magog. Why would God treat us different. i think God will remove us christians the judge the u.s 1st and MOST SEVERLY. people speculate we`ll join europe but i dont think God is going to let the u.s off that easily. i think afyer the rapture americas` enemies will finish the u.s off. Nathan, please explain to me how you and Dr. Reagan can say that the OLD TESTAMENT blessing/curse regarding Israel still applies today? After all, 2 Corinthians 5:19 says "that God was reconciling the WORLD to himself in Christ, not counting men's sins against them" and 1 John 2:2 says, "He is the atoning sacrifice for our sins, and not only for ours but also for the sins of the WHOLE WORLD." I ask you, was Jesus' sacrifice enough? And if it is, then why are you saying that judgment will fall on America? Saying that makes a lie of Jesus' sacrificial death on the cross. What you're saying is that Jesus' death isn't adequate for THIS sin. How do you apply such verses as the ones above and John 1:29? Furthermore, the only judging I see indicated in the New Testament is at the end of the age–at the White Throne Judgment. So this silly notion that we must bless Israel to be blessed is not truth. Ephesians 1:3 says, "Praise be to the God and Father of our Lord Jesus Christ, who HAS blessed us in the heavenly realms with EVERY spiritual blessing in Christ." So every blessing has already been given to us in Christ. Also, Galatians 3:13a says, "Christ redeemed us from the curse of the law by becoming a curse for us." So "disobeying" this Law to bless Israel does not mean America will be cursed. Christ has already suffered the penalty for that sin (and all sins). What is the penalty for sin in the Bible? It's always DEATH, and Christ has suffered that DEATH for the sins of the WHOLE WORLD. I believe Jesus died on the cross for the personal sins of individuals, not the collective sins of nations. Jesus' death does not cover the rejection of Him by Israel nor does it cover the nations that seek to destroy the land covenant that God made with Israel. That's my two cents but I'm looking forward to Nathan's reply to Laura. Add my change to your pot. That's my line of thinking too. Where do Dr. Reagan and Nathan get the fact that the blessing/cursing of Israel still applies? Laura, I can't believe you would ask that. Genesis 12:3 – "And I will bless them that bless thee and curse him that curseth thee: and in thee shall all families of the earth be blessed." Genesis 12:7 – "And I will establish my covenant between me and thee and thy seed after thee in their generations for an EVERLASTING covenant, to be a God unto thee, and to thy seed after thee." I take that to mean that every promise God made to his friend Abraham is still in effect. How can I ask? Because the quotes from Genesis (interpreted in the way that I am disputing) directly contradict the promises of the New Testament. Although God's dealings with Abraham were by faith alone, obviously God's interactions with other people seemed to be based on a pre-curser of the Law (i.e., blessings from God were conditional–based on how people treated Abraham). Galatians 3:16 says: The promises were spoken to Abraham and to his SEED. The Scripture does not say "and to seeds," meaning many people, but "and to your seed," meaning one person, who is Christ. The NAS footnote says that these quotes refer to Genesis 12:7, 13:15, and 24:7–in other words, THE "covenant" or "promises" that God made with/to Abraham. In all instances, the NAS translates the word "seed" in Genesis as "descendants"; however, the original word is "seed" (singular), which God clearly says (through Paul) refers to Jesus Christ and NOT to a multitude of people. So if we use the Word of God to interpret the Word of God, it says that this blessing/curse ONLY applies to 1) Abraham and 2) to Jesus Christ. Now, THAT makes sense and does not contradict the teachings in the New Testament that says Jesus has taken on Himself the judgment (and the curse) of everyone's sins! For if people "curse" Jesus, they WILL be cursed (after death, they will go to hell). I Corinthians 12:3 says: "Therefore I make known to you that no one speaking by the Spirit of God says, "Jesus is accursed"; and no one can say, "Jesus is Lord," except by the Holy Spirit. And we all know that if someone is lacking the Holy Spirit, he or she is not a born-again believer–hence, he's cursed with eternity in hell. 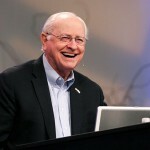 The Bible distinguishes individual salvation from national salvation and individual judgment from national judgment. The sum of the OT prophets' teachings is national judgment that forces man to consider individual repentance and salvation. We see the same thing in Revelation, where the nations are judged and Israel greatly persecuted so that the Jewish people turn to Jesus as their Messiah. God may want the individual saved, but He judges the nations as an entity as well, especially in how they treat Israel (examples see Dr. Reagans article on Hurricane Katrina, subheading "A Prophetic Book." Some examples I know of right off the top of my head. 1) When George H W Bush was in Madrid, Spain, discussing the splitting of Jerusalem his home in Maine was being destroyed by "The Perfect Storm." 2) 24 hours before Katrina hit New Orleans, our gov't gave Hamas weapons. 3) The day Condi Rice was in Jerusalem discussing splitting up the city, out economy crashed. That's just 3 of many that have been documented. Also, the key word in Genesis 12:7 is EVERLASTING, that's why I capitalized it. If it wasn't an eternal promise why did God say "everlasting"? Absolutely Israel is still the "apple" of Gods eye! What about the "fig tree" parable! The Lord made Israel a promise and He always keeps them! As far as the USA, I just wonder if she might go by the "way" of the lender. I do feel, think and believe that Jesus will call us home soon, we are a big problem to those that are willing to do the Devil's bidding! The Lord said that the day will come when we can not work – what day is that?